Hollister, CA – This is the most generously sculpted seating available designed specially to fit the F3 and provide the greatest ergonomic advantage for touring quality support. Wide, sculpted seating positions create a larger area of contact for excellent weight distribution. Shaped like your body to eliminate pressure points and give long lasting support that will keep you in the saddle all day. Corbin's rigid fibertech basepan provides a perfect fit and is built low to hug the frame and bodywork. This allowed Corbin to create a foam shape that keeps you in the sweet spot which provides a more positive feeling of control. We build this model higher on the sides to keep you in position effortlessly when cornering. Deep, supportive bucket design gives six and a half inches of vertical back support. All of this adds up to a very relaxed posture and comfortable ride so you'll be able to go out and put serious miles under the tires. discomfort. That's why we always say "firm is a good thing!" Both seating areas are designed to work with an optional Corbin backrest for added comfort and support. Use a single backrest transferred front to back as needed or order two for full time use. Corbin backrests are fully adjustable to fit a wide variety of statures and riding postures with a variety of backrest models available to suit your taste. Internal hardware keeps a clean look. All components include genuine leather seating inserts for a truly luxurious ride. For a very classy and subtle touch order your saddle all black or go custom with a wide selection of textures and colors available. 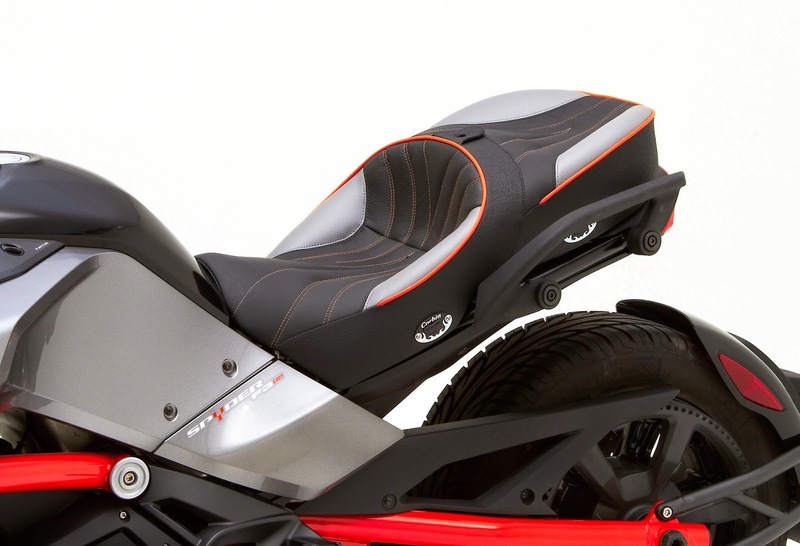 Dual Touring saddle offers the option of electric seat heaters for an added bit of luxury. 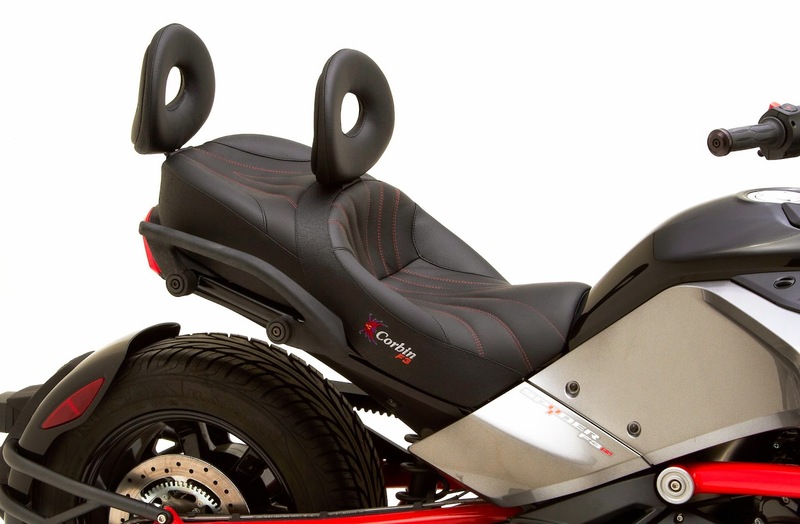 Wiring easily into your Spyder's loom using the provided accessory plug, the Corbin seat heaters are controlled via conveniently located switches along each seating position on the left side. Heat level is maintained automatically by integrated controller. This saddle is also available in a Lamonster Cut that was designed specifically for Lamonster at SpyderLovers.com. It feature the Lamonster logo stitched in the side panel. Please specify the correct part number when ordering. 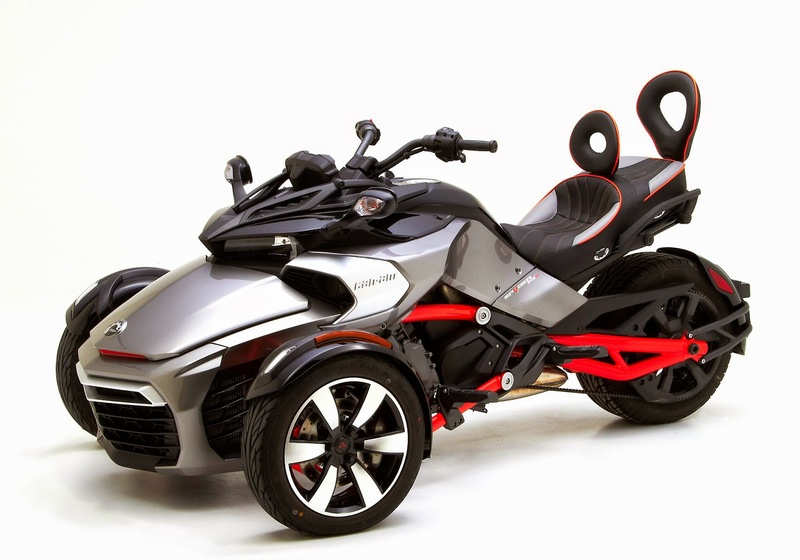 The Can-Am Spyder F3 is the first seat model to use a live version of the configurator. The page looks the same as any other on Corbin’s site, but if you go to the ORDER tab, instead of "Add to Cart" you get the option to "Configure". More importantly, this configurator can be "Added to Cart" where the part number, price and complete configuration will be added to the order. It’s that easy to design your own seat. For more information, call 800-538-7035 or online at www.corbin.com. Visit Corbin Headquarters at 2360 Technology Parkway, Hollister, CA. 95023 or Corbin Florida at 1433 US Highway 1, Ormond Beach, FL 32174.